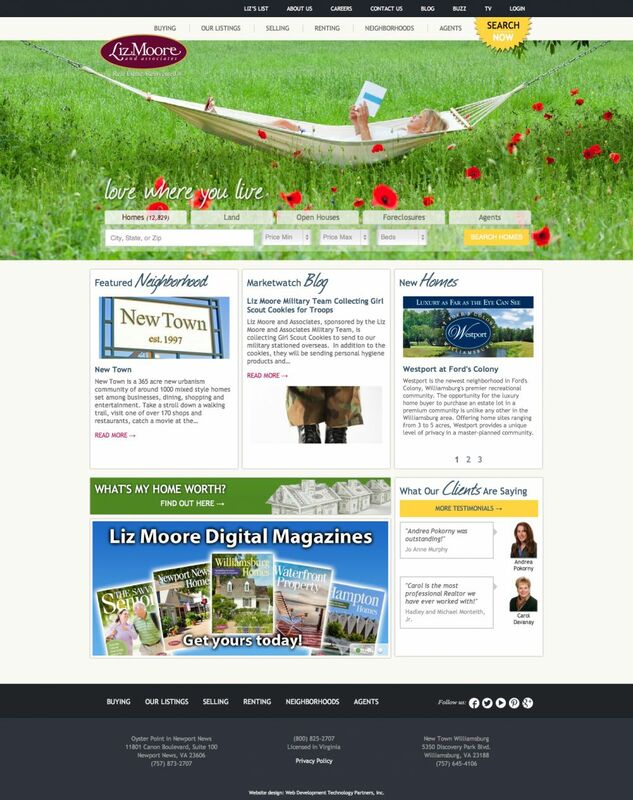 Liz Moore and Associates - Web Development Technology Partners, inc. I was referred to WDTP when I first launched my company back in 2003. I remember meeting with Rich, and leaving disappointed because although I was impressed, I felt he was “too expensive” for my budget at the time, and I couldn't afford to hire WDTP. I hired a less expensive web designer, and rationalized my decision based on finances. 3 years later, I found myself needing to completely overhaul my web presence; clearly, hiring a less expensive designer had been a big mistake, and actually cost me far more money than had I hired WDTP from the beginning. Choosing the less expensive option cost me valuable time and money…expensive lesson learned! I've been working with WDTP ever since – they have designed numerous websites and database projects for me. Rich is amazing – he is incredibly talented…creative, bright, engaged. But, even more important to me is that he is personally committed to my business success. Unlike so many vendor relationships where I am simply an account, Rich and Susan take a genuine interest in my progress. Cheesy as it may sound, I feel like they are business partners. They proactively look for ways to help me generate business, and are as anxious about my results as I am. The past few years have been tough in the real estate market, and I was forced to make drastic cuts in a number of segments of my business in order to stay on budget. One thing I was unwilling to cut was my online marketing strategy budget, and actually, I increased my investment in technology, despite considerable pressure to the contrary. That decision has served me well, and I am convinced that much of our overall business success is directly attributable to our online marketing success. I feel blessed to have Rich and Susan on my team. If you are struggling with a decision about who to hire to help you with your web presence/strategy or about how much it’s appropriate that you spend, please don’t hesitate to call me. I would be more than happy to share my personal experience and thoughts about WDTP.